Flying overseas for the whole day, rushing through the congested New York city and arriving just an hour before the curtain might get things stressful. Nevertheless, despite tiredness and jet lag I managed to enjoy the last performance of renewed “Las Vegas” Rigoletto with a great cast, starring fabulous Željko Lučić, mesmerizing Joseph Calleja, impressive Štefan Kocán and fragile and clear toned Olga Peretyatko. Željko Lučić received thunderous applause and ovations from the audience, his vocal performance and build up of character was impeccable, especially impressive at the last scene. Olga Peretyatko was the only one from the cast I have not seen in live performance before, and her portrayal of Gilda was convincing, emotionally nuanced and well delivered vocally. She has pleasant and bright soprano with well supported top notes, it might be effect of huge MetOpera and seating on Family circle that at some moments made me feel that she is lost behind the orchestra. The audience also appreciated her performance enthusiastically. 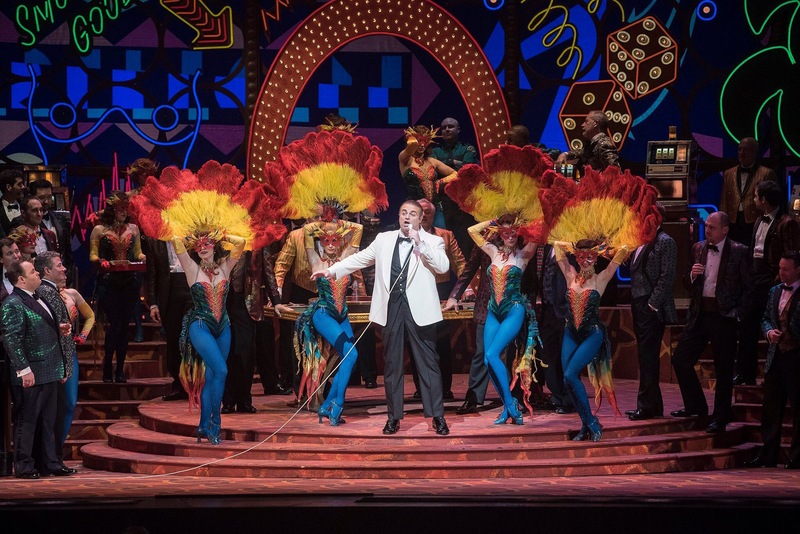 Joseph Calleja was unexpectedly good as The Duke, he balanced both vocal and dramatic aspects of the role, creating vivacious, energetic and superbly sung protagonist. Štefan Kocán created threatening and vocally mesmerizing vicious Sparafucile, his bass resonating through the auditorium and sending shudder up your spine. He has a great instrument at his possession and enviable breath control. The ensemble worked well aligned, impressive singing in Act 3 quartet. The performance has been on The Met stage for quite some time, adn this was the last performance of the revival this season. I am very glad I managed to see it – worth the rush and hassle and overcoming flight tiredness! Next Post: ﻿Watching time fly by: witty and wistful Die Rosenkavalier with Garanča, Fleming, Groissbock, Polenzani, Kim at The Met. I only have the photo to go by – and only one comment to make. There is something very wrong with the cut of the duke’s trousers. Wardrobe needs to be called. Calleja “unexpectedly good?” Tut tut! He’s only one of the top 4 tenors of today with a voice that is instantly recognizable.